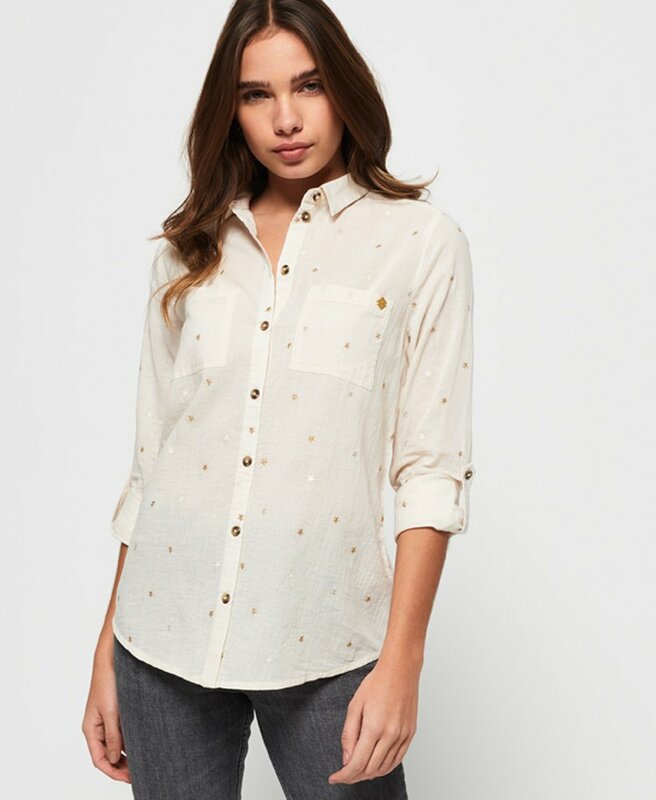 Superdry women’s conversational shirt. Simple and so chic, this shirt is a great staple for your wardrobe this season. Style this shirt tucked into a pair of jeans or paired with chinos for a special occasion. This shirt features a button down fastening with button cuffs, a single collar and two pockets on the chest. For a complementary finish, this shirt has been decorated with a Superdry badge on the pocket.